When we hear about companies filing for bankruptcy, the term ?liquidation? often enters the conversation. This term is also used when discussing personal bankruptcy. Everyone who is considering filing for Chapter 7 or 13 bankruptcy should understand what liquidation means and how it works. Liquidation is the process of collecting and converting assets to money, and then using the money to repay debts while distributing any surplus. Having an understanding of what liquidation in bankruptcy really means is important in order to make a decision as to whether you should file a Chapter 7 bankruptcy or a Chapter 13 bankruptcy. After all eligible assets are liquidated and creditors are repaid, remaining consumer debts are typically discharged, removing the obligation of repayment. At Bankrupt & Broke, we provide a high-level overview and recommend consulting with a bankruptcy attorney. The only way to protect the assets that you don’t want taken away is to speak with an expert bankruptcy lawyer to discuss your options. When filing Chapter 7 for a business, a bankruptcy trustee is named to oversee the liquidation process. This individual sells the assets of the business to repay creditors in priority order. If the business owner liquidates the business, they retain control of the liquidation process. The assets can usually be sold at higher prices than the bankruptcy trustee could get and the proceeds may be enough to repay all creditors. Before beginning liquidation, the business owner should list the business assets, distinguishing those that are owned from those that are leased or secured by other assets. The lessor or secured creditor usually must approve the assignment or sale of leased or secured assets. Once business assets are identified, the business owner can sell them. All assets should be sold for commercially reasonable prices, never significantly below market value. By getting good prices for these assets, business owners have more money to repay creditors and may even have some money left over. By liquidating their own operations, business owners can select which debts are addressed and repaid first, which can be useful if they are personally liable for particular business debts. In many cases, they may be able to negotiate with creditors to settle debts for less than what is owed. Although this may seem appealing, the Internal Revenue Service (IRS) may consider this income, which could result in tax liability. Business owners should carefully handle debts for which they are personally liable. If the business assets will not satisfy these debts, creditors may go after personal assets. Therefore, these debts should be negotiated and repaid first. During the settlement process, the creditor should release both the business and its owner from liability. Collateral should be provided to secured creditors if the business owner does not want it. If a creditor sells collateral for less than the debt amount, the business owner may owe a deficiency balance. The creditor can be asked to forgive this amount or the business owner can negotiate to sell the item. To keep the collateral, a price can be negotiated to purchase it in exchange for satisfaction of the debt. Crippling debt is something that many people deal with across the country ? mortgages, credit card and outstanding student loan debt can all weigh heavily on people?s wallets and on their credit scores. For those suffering from massive debt, liquidation and filing for bankruptcy may be a feasible option for relief. Chapter 7 bankruptcy erases debt incurred by overspending on credit cards, unpaid medical bills, and some personal loans. Filers must pass a means test based on their income, debt level, and other factors. Though the Chapter 7 process is relatively simple and concludes much more quickly than filing for Chapter 13 bankruptcy does, it can still be complicated, which is why legal assistance is recommended. Traditionally, Chapter 7 bankruptcies include liquidation and are designed to help filers rid themselves of debt and allow them to start over with a clean slate. During this process, assets are sold to repay outstanding obligations and any remaining debt is discharged. Chapter 7 does not require the filer to liquidate all assets. However, it does include exceptions that allow the retention of certain assets determined by federal or state laws. A Chapter 7 trustee is tasked with reviewing assets and determining whether these are exempt from liquidation. Assets classified as nonexempt are sold to generate proceeds for debt repayment while the filer is permitted to retain exempt assets. In order to receive payment, creditors must file claims for their portions of debts included in the Chapter 7 case. Within four to six months, the process concludes, the bankruptcy is discharged, and covered creditors may not collect on any remaining debt balances. 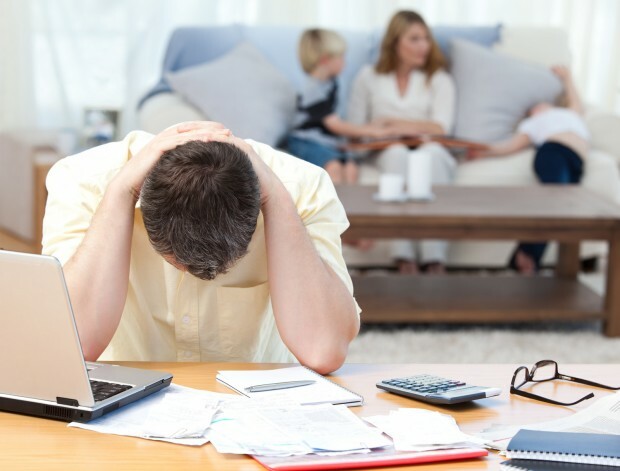 One of the biggest concerns for those filing for Chapter 7 bankruptcy is the potential to lose their home. Homestead exemptions are available and will help protect homes from liquidation, but the terms of this protection vary. An approximate $21,000 exemption may be available on the federal level for homes as well as a motor vehicle exemption for approximately $3,450. Home exemptions at the state level vary, and even motor vehicle exemptions can range from zero protection to excusing the vehicle?s full value. There are also exclusions in place for personal property which can include life insurance policies, medical aids, household furnishings and jewelry, but these also come with limits. Federal exemptions can also cover assistance such as unemployment, Social Security, social security disability, and veteran?s benefits. Alimony payments and child support can also be deemed exempt if found necessary. Tax-free retirement accounts can be covered under liquidation exemptions, but in many cases the amount that is protected is limited for example, Roth and Traditional IRA?s are capped at $1.17 million dollars. In some states, a ?wildcard? bankruptcy code can also be applied to any owned property and can be used to protect assets that are not covered by other exemptions, although limitations may apply. Although liquidation and Chapter 7 bankruptcy eliminate filer?s debt, it is important to know the requirements and guidelines regarding different assets and to consult with a bankruptcy attorney to fully understand the process in its entirety. Generally, after all non-exempt property is sold toward repayment, the debtor?s remaining balances will be discharged allowing the filer to start over with a clean slate.